To be sure that you have your contacts out for enough time to allow your eyes to rest each week, many eyecare professionals recommend roughly timing how many hours per week you have them out. Dr. Johnson advises that you should have your contact lenses out no less than 18 hours per week to let your eyes recover. 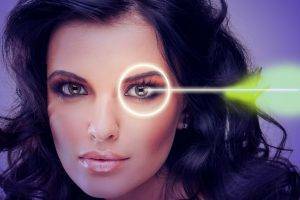 Overuse of contacts denies your eyes the ability to “breath” properly and may potentially do a great deal of damage. Spare glasses are among your most important tools for protecting your eyes when it comes to avoiding contact lens overuse. 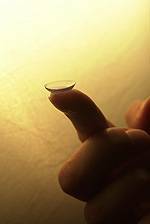 Contact lens wear puts a strain on your eyes and may cause fatigue and headaches. This is because your eyes are not naturally equipped to deal with the long-term consequences of being covered by a piece of plastic, and the consequent lack of proper moisture and oxygen flow. Wearing your glasses a few days a week instead of your contacts will allow your eyes to rest from this strain. Choosing your contacts over your glasses some days does not mean that there is nothing you can do that day to reduce your risk. Leave time at the beginning and end of each day with your glasses on and your contacts out. This is easily done by waiting to put in your contacts until you have everything else to get ready for your day has already been finished. Your contacts should then be inserted right before walking out the door to begin your day out. You should also take your contacts out a few hours before going to bed to let your eyes recover at the end of the day. Too often overlooked are the dangers associated with sleeping, for any amount of time, with your contacts in. Even for just the briefest of naps, keeping your contacts in while sleeping can deny the eyes essential oxygen and hydration, leading to a process called neovascularization. In this process your oxygen starved eye begins to create new blood vessels in places they don't belong in order to make up for the shortage of oxygen. This can seriously harm your ability to see and may lead to more even greater damage to your eyes in the future. For any questions and further tips, feel free to contact Dr. Johnson today.